A dual-colored concealer with great coverage that instantly adheres to the skin and corrects visible blemishes and acne scars with a thin film. 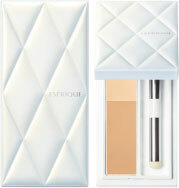 The concealer spreads well without becoming sticky, giving a silky smooth finish. 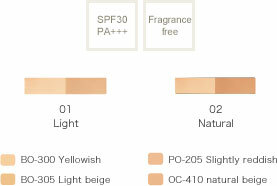 together with the brush to match your skin tone.